Renowned all over the world thanks the trilogy "Back to the future", DeLorean DMC 12 is an ambitious project for an economical two seats Coupé with seagull wind doors. 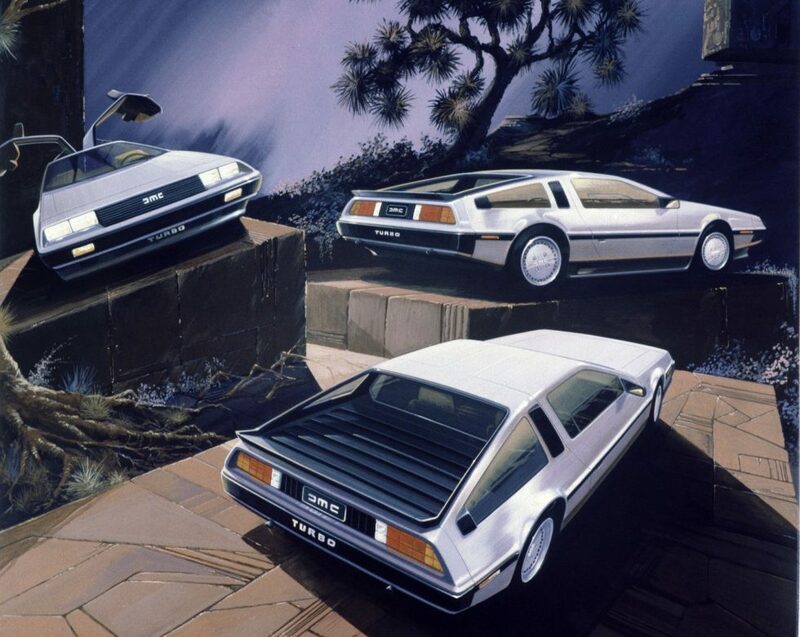 The cooperation with DeLorean Motor Company begins in 1974 when John Z. DeLorean, ex GM vice president, and William Collins, DMC president, create a program for a two seats car with rear engine. Intended almost exclusively for American market, DMC 12 must be economical but in the meantime immediately recognizable, for this reason the bodywork is in brushed steel non painted, and seagull wind opening only seen before on Mercedes 300SL in 1954. The same abbreviation chosen for this car suggests the sale's price, established in $ 12.000 (amount that will be very increased). A few details remind the Medici I and the Hyundai Pony, two prototypes that John Z.DeLorean noticed at Italdesign stand at Turin Motor Show in 1974, and those details pushed him to choose Giugiaro for the design of his new car. When Back to the Future (Robert Zemeckis, 1985) came out on American cinemas in 1985 bringing to the DMC 12 eternal glory, the production of the car is definitely stopped because of financial crisis that his the De Lorean, in the meanwhile moved to northern Ireland, after only 8700 patterns. Seth MacFarlane's American Dad! dedicated a full episode to the DMC12: it's episode 16, season 4 DeLorean Story-an. Steve discovers Stan has secretly been building his dream car, for the last six years, but it is missing one vital part: the gull-wing passenger door. Steve locates the missing part via craiglist and he and his dad set out for Albuquerque. Quotations from Back to the Future aren't missing.